Something I have noticed, and maybe you have too, is that every MLB division has a few team names that are very close in the alphabet to each other. In fact, each division has at least two names in a row when all the teams in the majors are alphabetized, ever since the Devil Rays became the Rays. Now thanks to the Astros’ move to the AL West, all have at least three names in a row, with the exception of the AL East. This creates an interesting phenomenon: by changing ten of the team names in MLB, an alphabetized list of all teams will also be sorted by division. I intend on changing those ten names in order to create such a list. Previously, I completed the alphabetization of the American League. Now I will do so for the National League. In 2017, the Braves will be moving to Cobb County. Like the Indians, there has been some controversy surrounding the team’s connection to Native Americans. No longer! The Braves name doesn’t match up with the Ms and Ns of the NL West, so they will have to change. It should be no big deal, since the team has had six names and three cities in its 140-year history. A name change to the Atlanta No-Fun-In-Baseballs would be relevant and alphabetically acceptable, but perhaps there are better names from which to choose. Cobb County has many high points, so how about the Mountaineers? Fans could still do The Chop, it would just signify a climber sticking an ice axe into a slope. This is another team in need of a change, and not only because of where it lands in the alphabet. I could see naming the team the Philadelphias if the place name was Pennsylvania, but the Philadelphia Philadelphias? That’s too much. They were also known as the Quakers many years ago, which is neat. Unfortunately, the NL East is confined to earlier letters in the alphabet. What is one of the most famous landmarks in Philadelphia? The Liberty Bell. I propose to change the name to the Philadelphia Liberty. It may be too abstract of an idea for a good MLB team name, but there is a WNBA team with that nickname. The Pirates got their nickname because of a disagreement with the Philadelphia Athletics over 2B Lou Bierbauer that helped guide the American Association into failure. They were formerly known as the Alleghenys, a top-notch nickname, but one that would only work in the AL West. The Players League had a team name the Pittsburgh Burghers, which would fit, but is as original as the Phillies. Fortunately, this is another easy one thanks to synonyms. Officially change the nickname to Buccos and go about business as usual. 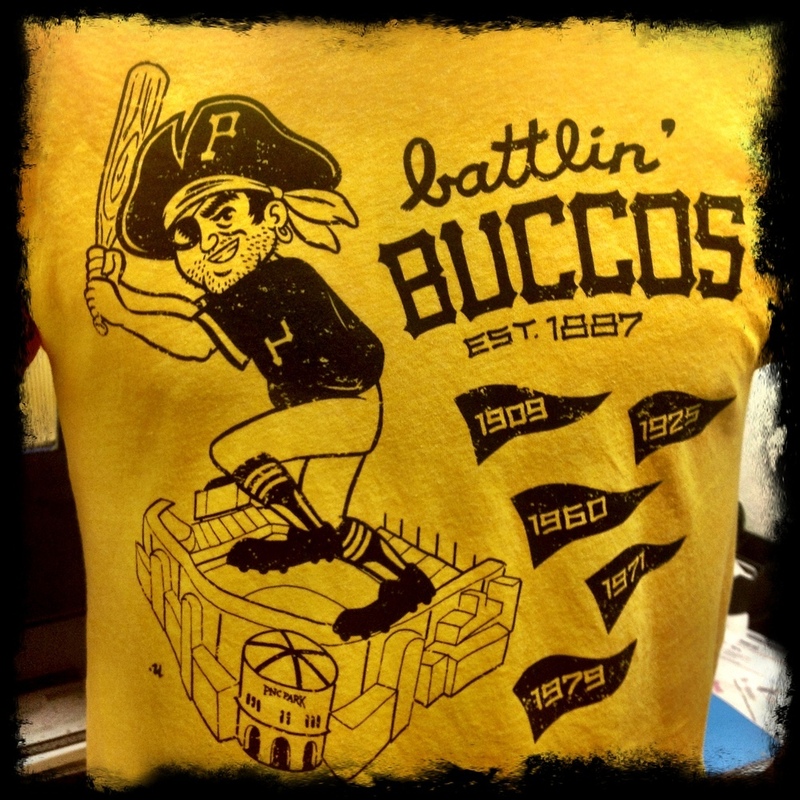 I like Buccos as opposed to the more formal Buccaneers. The Reds have been known as some form of the color for over 130 years, and I find that boring. The simplicity is nice, but it isn’t descriptive of anything but the uniform the team wears. Cincinnati is a city filled with wonderful architecture, and yet their baseball team is simply called the Reds? Time to change that. Two ideas are Continentals or Colonists, both of which connect the city to its roots in the Revolutionary War. I don’t see either as a good team name though. Bryan Grosnick had a better idea which has the same historical significance: Colonels. Well I’m embarrassed that I couldn’t think of that. Cincinnati Colonels it is. The Padres got their name from the founders of the San Diego mission – Catholic missionaries, also called friars. The friar name fits into the NL West framework and will be the new official name of the Padres. Finally, the last team to get a name change. The Rockies are by far the newest team to get re-branded, but if 20 years is too old for a stadium (looking at you, Mountaineers/Braves), then 20 years is long enough for a team to keep one name. Their current name is nearly perfect. What is the most defining feature of Colorado? The Rocky Mountains. However, the NL West requires a name in the D-L range. I’m tempted to go with Dingers in order to match the name up with their purple dinosaur of a mascot, but I can’t do that to the team. The history of Colorado as a state is directly linked to the gold rush of the 1800s. In fact, the Denver Nuggets basketball team is named after this connection. As such, and in a desperate opportunity to have varied team names, I dub the Colorado baseball team the Gold. That’s The Colorado Gold. That wraps up the alphabetization of the MLB. NL East: Philadelphia Liberty, Miami Marlins, New York Mets, Atlanta Mountaineers, Washington Nationals. NL Central: Milwaukee Brewers, Pittsburgh Buccos, St. Louis Cardinals, Chicago Cubs, Cincinnati ?. NL West: Arizona Diamondbacks, Los Angeles Dodgers, San Diego Friars, San Francisco Giants, Colorado Gold. Whenever I look at team names alphabetically (like in my off-season prospect lists) I always notice that the divisions are grouped enough to almost be completely in order. Well I have now made it to be so. You’re welcome. Do you have any thoughts on these new names? Do you have any better ideas than the ones I have given?